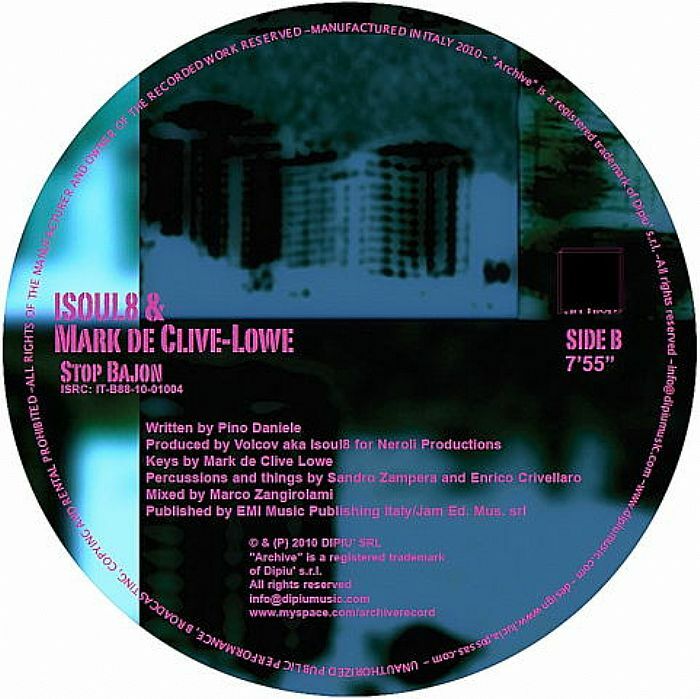 Theo PARRISH/ISOUL8/MARK DE CLIVE LOWE Stop Bajon vinyl at Juno Records. 1. 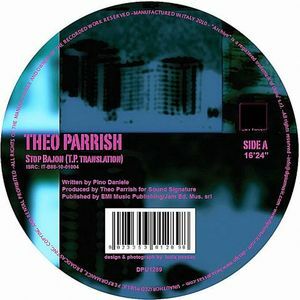 Isoul8 & Mark De Clive-Lowe - "Stop Bajon"
That man Theo Parrish pops up with another buy-on-sight release, this time a remake of Tullio De Piscopo's "Stop Bajon" on Italian label Archive. It's a shuffling, undulating jaunt and in true Parrish style, the track is sprawled unhurriedly over 16 minutes worth of wax. Flip over for Isoul8 & Mark De Clive-Lowe's version of the same track, which comes in on a more intergalactic discoid tip. A worthy investment for any Parrish completist, and one we suspect won't remain on the shelves for long.